It must be nice to roll into a car dealership, point to something cool and say “I’ll take that one,” without any care about cost. It’s a luxury many of us don’t have. I’ve found that some luxury car dealers may get a little too use to this devil-may-care attitude. They work with so many big spenders they may not be all that interested in cutting a deal for the rest of us. You don’t have to be super rich to get behind the wheel of a luxury car; certified pre-owned and leasing makes cars that would normally be out of an average budget more accessible. I’ve helped clients all over the country get deals on luxury cars, whether it be a certified pre-owned BMW 3-series at $25,000 or a fully loaded Range Rover going for over $100,000. What I have found is that the vast majority of luxury car dealers will compete for price because most people, regardless as to what they are spending, want to feel like they got a good deal. However, I have noticed that in certain metro areas, like Los Angeles and New York, some dealers are under the impression that their client base just has money to burn and they simply aren’t interested in even attempting to offer a competitive price. 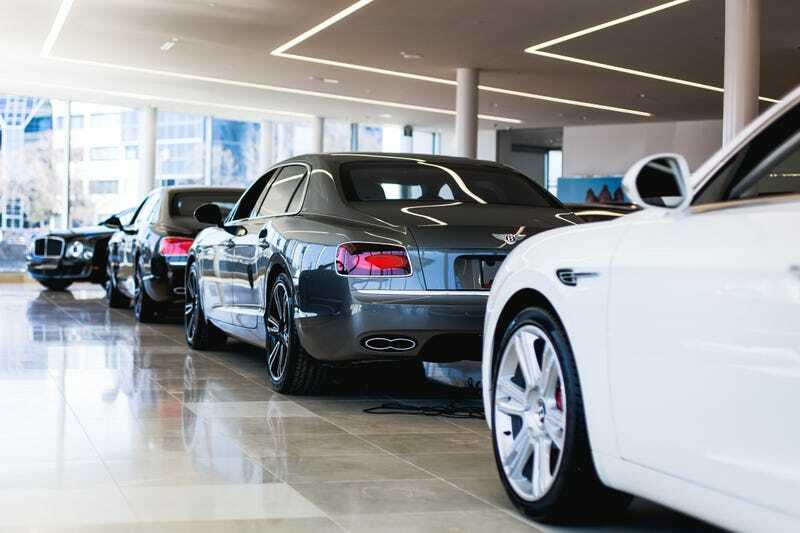 Recently, I assisted two clients where the deals offered by their local luxury car stores were dramatically different than the ones outside of the area. The first one was a family in the LA area who wanted a brand new Cadillac Escalade. Those suckers aren’t cheap and their configuration ticked out at about $90,000. What shocked me is that most of the LA metro Caddy dealers came back around $5,000-$6,000 off the MSRP and that included the rebates. That seemed kind of weak for a GM luxury product, so I spread the net wide and found an identical vehicle in Bozeman, Montana of all places. The salesperson was super friendly and sent me a price that was $12,000 off including rebates. Even with a transport cost of about $800 that still kept a few grand in their pocket. The gentleman and the Montana Caddy dealer said he ships cars to California all the time because he can beat their prices easily. Sometimes you don’t even have to buy car several states away to get a better deal. I had a lady from Manhattan contact me about getting a brand new 2018 Mercedes S-class. She stepped into her local store and they told her that since these cars were just arriving, there aren’t any discounts but she could qualify for a measly $1,500 rebate if she was a Morgan-Stanley member. Given that the car she was looking at retailed for over $100,000, getting $1,500 off the sticker price isn’t all that exciting. I made a phone call to a Mercedes dealer in NJ that was only 30 miles outside of the city, he came back with a discount of $10,000 off the same car! Both of these stories are reflective of similar experiences I have had with dealers that are situated in areas where they apparently get enough buyers who don’t look twice at the cost so they make the assumption that they don’t need to bother working to earn their business based on price. Of course, all of this comes down to my mantra, “It pays to shop around,” but some buyers may not be aware that the negotiation room on their chosen car is wider than they expect if the first dealer they visit lays on the line of “Well, these are hot sellers so we don’t really discount them,” when in fact it is just that particular dealer that isn’t interested in discounting the car. Now it very well may be the case that the overall market for a car is difficult and no one is offering significant discounts, but the only way to know this is to compare the quotes. I realize some people are willing to pay a premium for convenience and getting what they want right now, but for the rest of us, investing that time could mean significant savings.